During Sony's showcase at the yearly gaming event called "E3", Sony revealed to us that the PlayStation TV (known as the Vita TV in Japan/Asia) will be launching in the US and EU this fall. For those of you who dont know, the PlayStation TV is essentially a PlayStation Vita but instead of being handheld with a built in screen, it plugs into your TV and is controlled by either a Dualshock 3 or Dualshock 4 controller. It also offers remote play from your PlayStation 4 so you can play on your PS4 from another room. 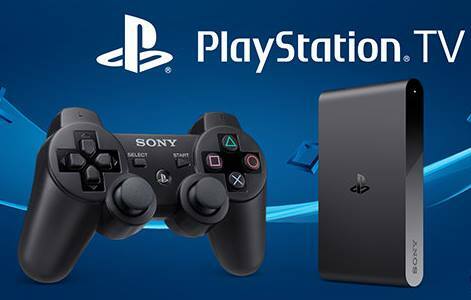 The PlayStation TV is also supposed to support PlayStation Now, which is Sony's video game streaming service. This would allow the PlayStation TV to play a few PS3 games and some PS2 games as well. One thing the PS TV lacked in Japan/Asia was the ability to stream videos from main video and entertainment sources like Netflix. This time around we hope it will provide bigger and better things, considering its release in Japan/Asia is thought to be a testing phase. A problem with the PS TV is a lack of compatibility. Sony has stated that the PS TV will play "most" Vita titles, so some of your favorite games may not be compatible on the PS TV. There is still more information that has to be given regarding which games will be playable and which games will not be playable. Below are some of the PS TV's specs. 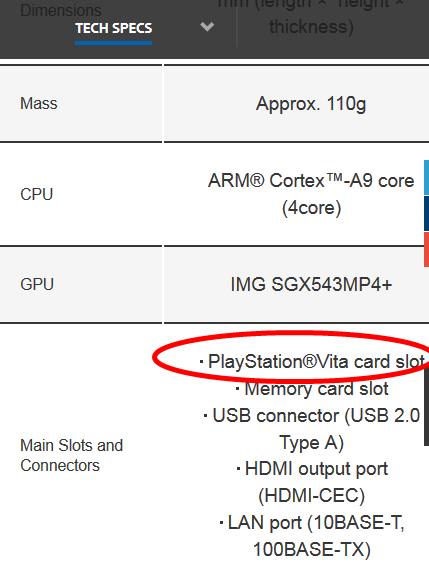 As you can see, the PS TV will have a cartridge slot for PS Vita games. The current price for the Playstation TV is $99.99/€99.99. There will also be a bundle available for $139.99 which includes a Dualshock 3 controller, an 8GB memory card, an HDMI cable, and a voucher for "The Lego Movie Game." What do you think about the PS TV? Will you be buying it? Or will you wait to see how compatibility with PS Vita games turns out?